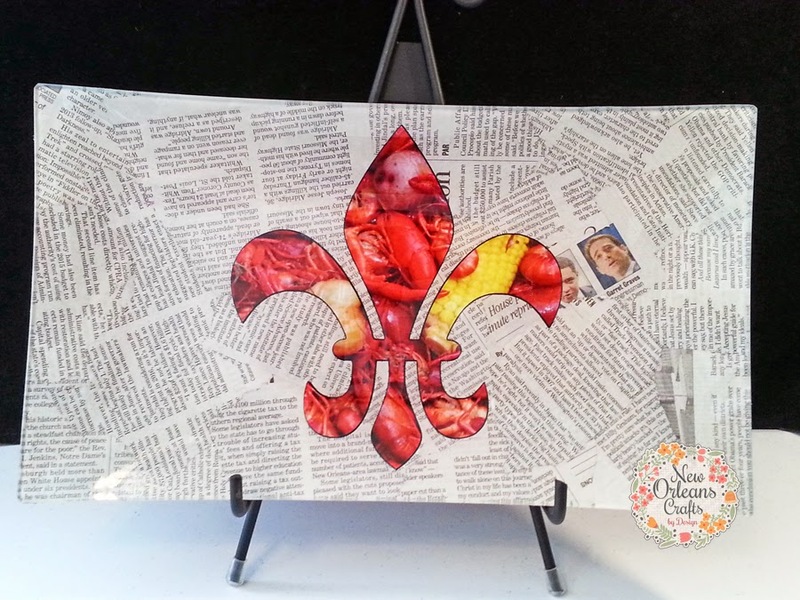 Louisiana Cajun Decor Newspaper Print Reverse Decoupage Platter with Crawfish Fleur De Lis. My first attempt at making a decorative platter was for my sister. She saw one that she like in a local gift shop and fell in love with the general idea and instead of buying it...she asked me if I could make something similar. After doing a little research I decided to give it a shot. This is my finished product. I started with an 8x14 Clear Glass Rectangle Platter that is 1/8" thick. 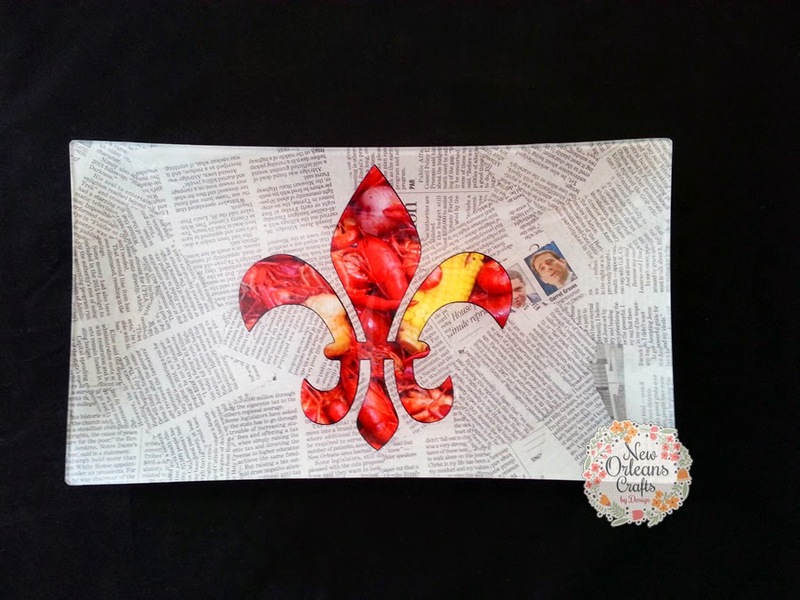 I first made the fleur-de-lis with my Silhouette. 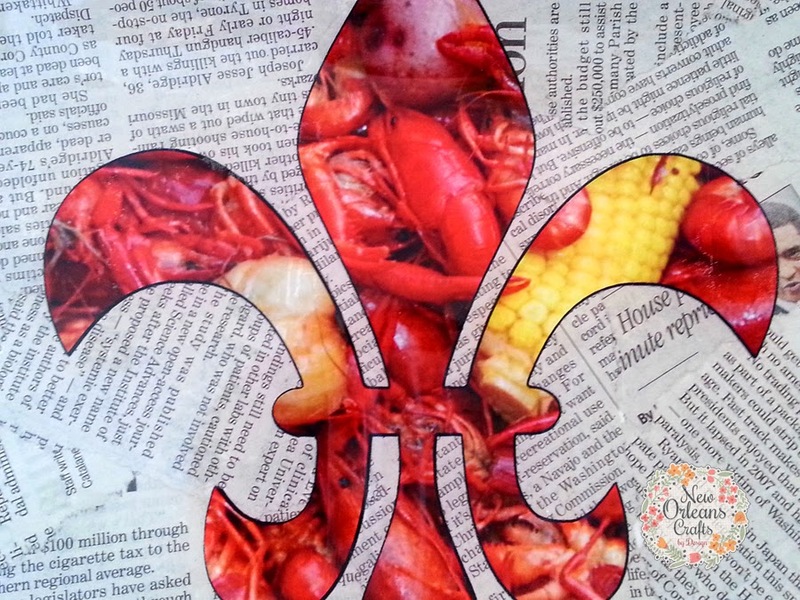 I inserted an image of a crawfish boil into the fleur-de-lis to make this intriguing design. It was then attached to the back of the platter. I then tore strips of newspaper and completely covered the back of the platter. 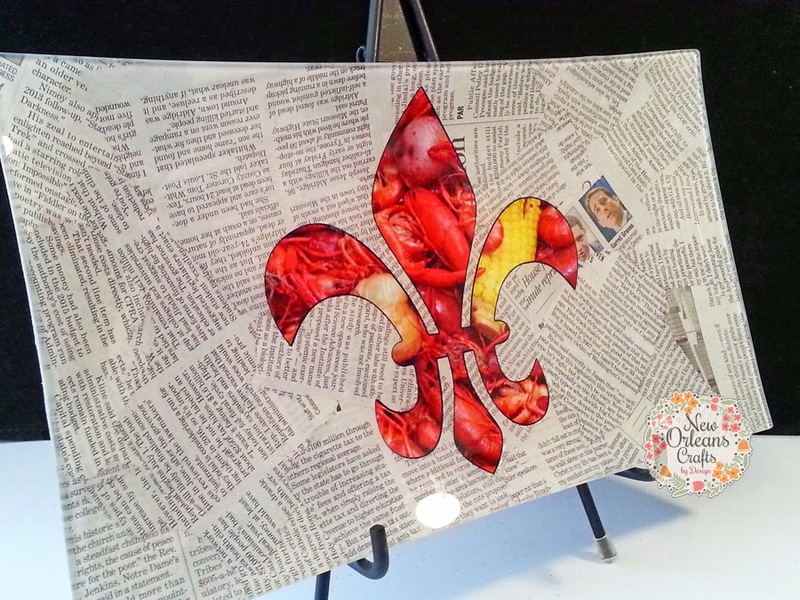 Each platter will be made to order so the actual newspaper print will vary slightly. 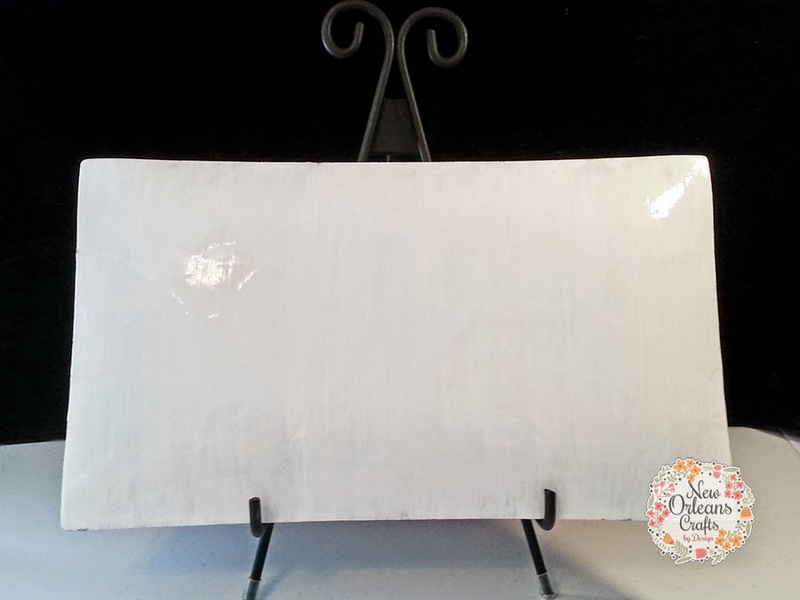 Once the decoupage was complete I painted the back of the platter white and applied several coats of clear acrylic sealer. The design is placed on the back of the platter so it is not only beautiful to put on display...it is also functional. The top glass of the platter has not been altered in any way. That being said, it is decoupage so it is not dishwasher safe and should not be submerged in water. The top can be cleaned with a damp cloth. I love his design and style and plan to add more to my shop in the coming weeks. You can find this item in Etsy Shop! !